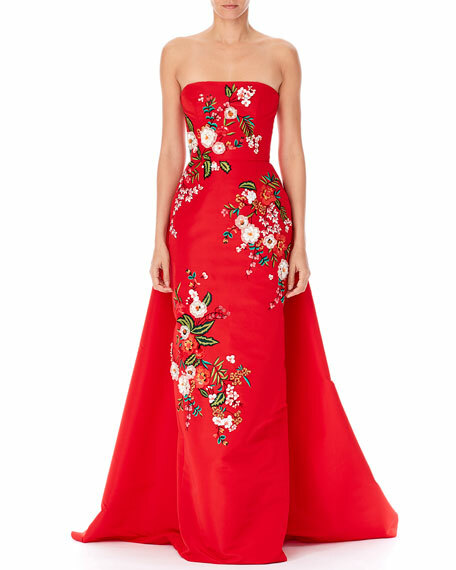 Carolina Herrera gown in silk, featuring floral threadwork embroidery. 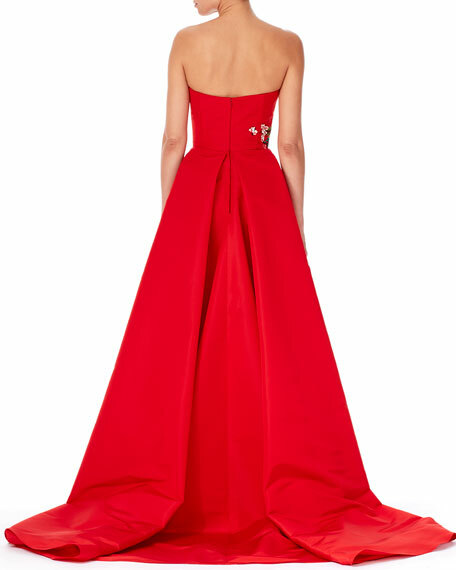 Aidan Mattox one-shoulder ball gown. Approx. 55"L down center back. Asymmetric, one-shoulder neckline. Right puff sleeve; sleeveless at left. Fitted through princess seams. A-line silhouette. Pleated flounce hem. Polyester/metallic/nylon. Polyester lining. Dry clean. Imported. Model's measurements: Height 5'11"/180cm, bust 32"/81cm, waist 24"/61cm, hips 35"/89cm, dress size US 2. 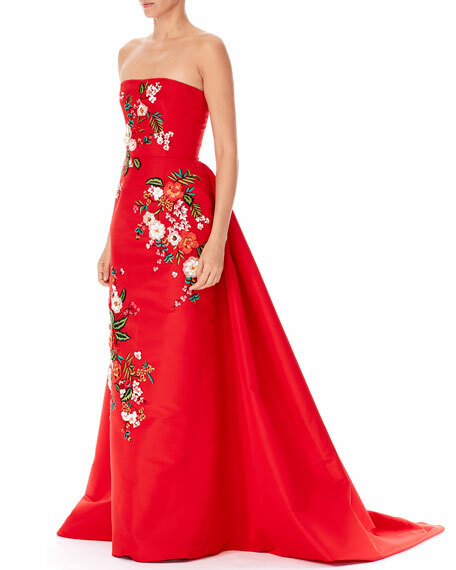 David Meister long gown with multihued rose print. Off-the-shoulder neckline. Long sleeves. Fitted princess seams. Ball gown silhouette. Full, pleated skirt. Hidden back zip. Arched hem. Train at back. Polyester self/lining. Dry clean. Imported. Model's measurements: Height 5'10"/177cm, bust 32"/81cm, waist 24"/61cm, hips 35"88cm, dress size US 2/4.